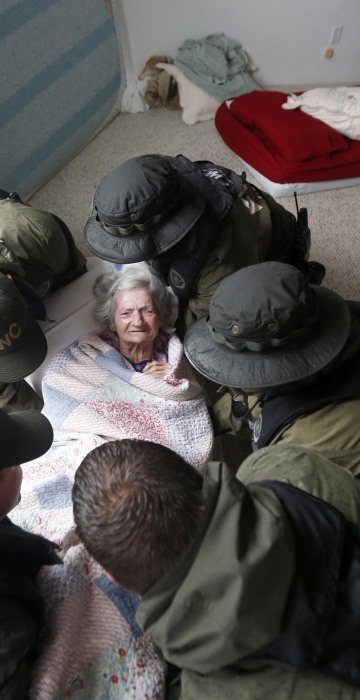 Rescuers evacuate elderly from flooded assisted living home, Golden Years Assisted Living in Orange, Texas. 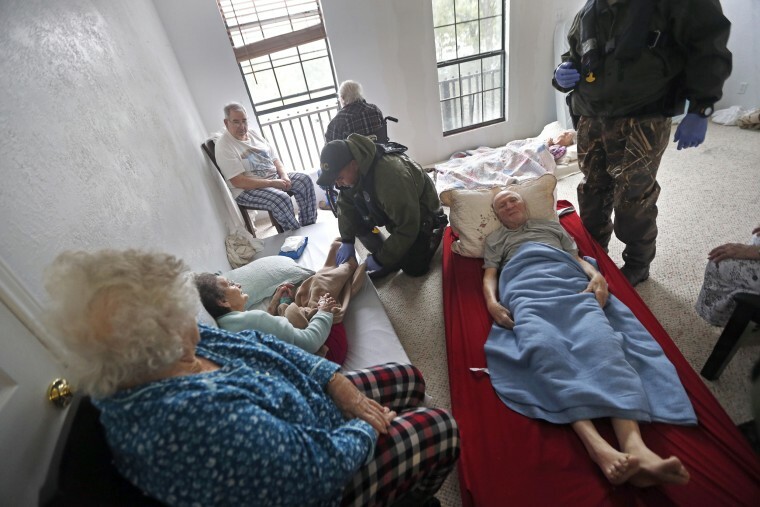 Members of the Louisiana Department of Wildlife and Fisheries, the Florida Fish and Wildlife Conservation Commission, and the Louisiana National Guard help rescue elderly people from the Golden Years Assisted Living home, which was flooded from Tropical Storm Harvey on August 30 in Orange, Texas. Most of the gray brick structure is one story, although staff took residents to a small second-story area as the water on the ground floor rose to thigh level. 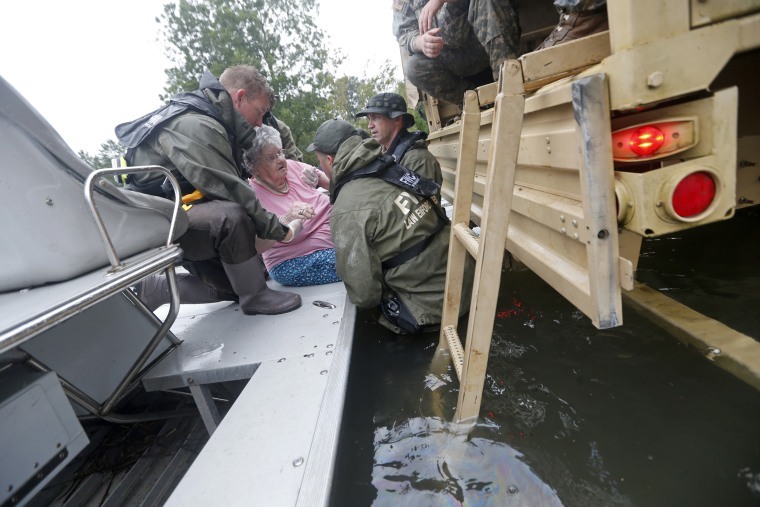 Members of the Louisiana Department of Wildlife and Fisheries, the Florida Fish and Wildlife Conservation Commission, and the Louisiana National Guard help rescue elderly people from the Golden Years Assisted Living home. Rescuers carried the residents out one-by-one, floating them to high-clearance National Guard trucks on an airboat. Three who were too weak to stand were lifted onto a mattress in the back of a truck. The other five got their pajama bottoms wet as they were helped into a second truck, shivering in the still-gusty wind as they sat on metal benches. 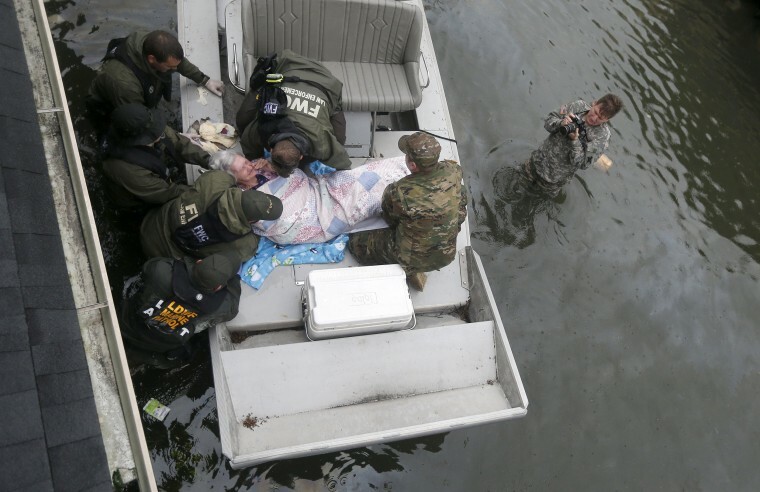 Members of the Louisiana Department of Wildlife and Fisheries help rescue elderly during flooding from Tropical Storm Harvey. "I was just wondering if it was going to get any higher," said resident Madison Selph, 87. He said he could tell water had stopped rising by looking at a shed across the parking lot. 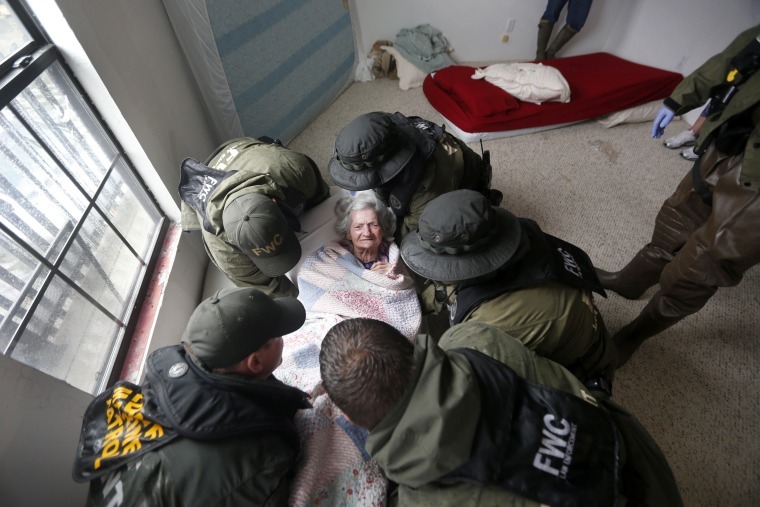 Members of the Louisiana Department of Wildlife and Fisheries, the Florida Fish and Wildlife Conservation Commission, and the Louisiana National Guard help rescue an elderly resident. 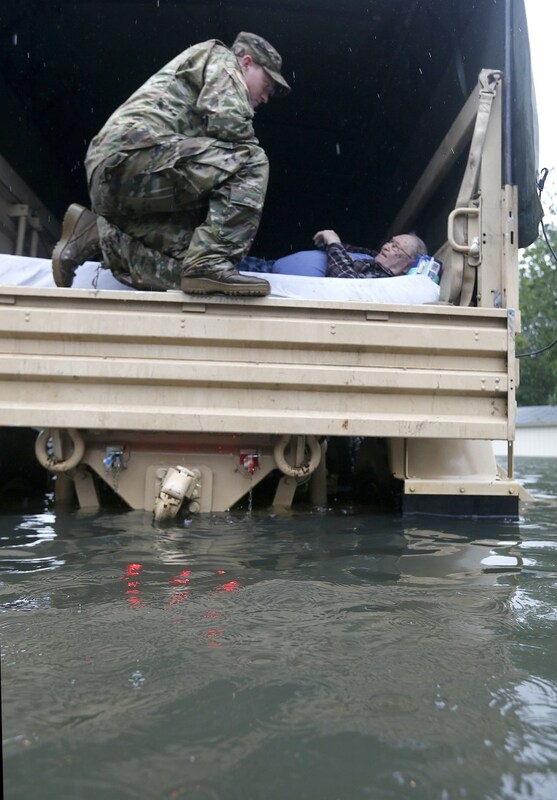 A member of the Louisiana National Guard speaks with an elderly resident he helped rescue. 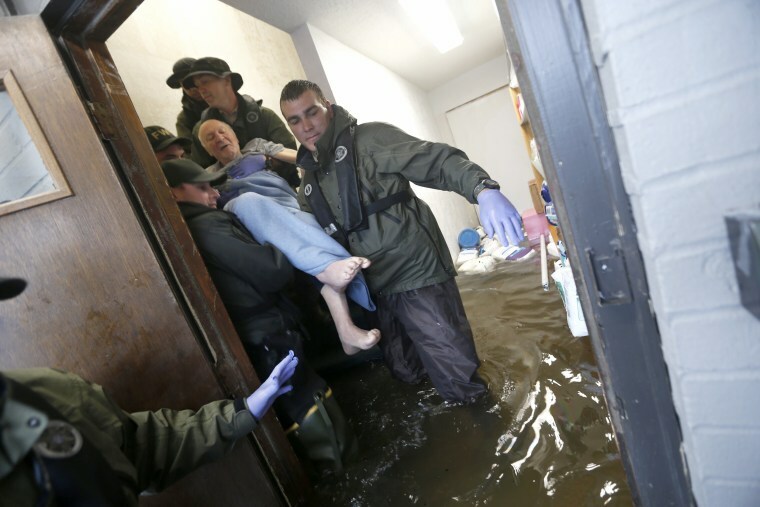 Members of the Louisiana Department of Wildlife and Fisheries help an elderly resident onto a boat.